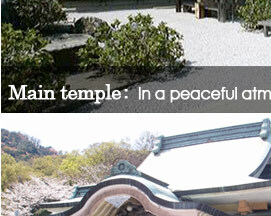 Koyasu Kannonji Temple is built on the tableland of a hilly place of the foot of a mountain. The huge Monk Chigo-daishi-zo image which is over ten meters high is sitting on the ground without a roof and widely overlook Ohenrosan( Pilgrims who visit 88 hallowed compounds in turn) from the sky. 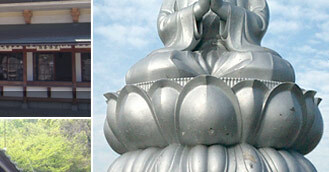 According to Ziden( tradition of the temple), once upon a time people in the village have enshrined the Shyo Kannon Bosatsu Bodhisattva image and the Amitabha Buddha image in Souan(Hemitage made of grass), and built Kannondo temple. After that, a new temple was built called Shin-Zoho, but it is said that the beginning of this temple was when the Garan(temple) was built on the present place in 1609. 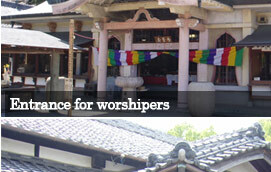 In 1695, it was named Koyasu Kannnonji Temple as Zi-go( Name of temple) after Saga Daikakuji Temple. 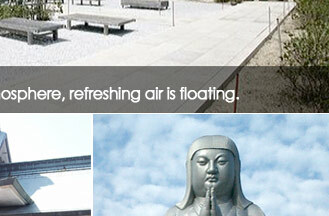 (Statue that is not normally visible for religious reasons) which is enshrined in the Kannondo Temple. Nowadays, the Honzon of Koyasu Kannonji Temple is the shyo Kannon Bosatsu Bodhisattva that hold an infant in its arm; women from all over Japan especially believe in its "having a baby and having an easy birth". 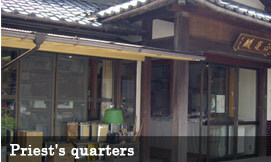 Their office is located in Miyama, and they serve hand-made noodles to worshiper as Honbo (Temple where the chief priest lives in), it is well known as "the Temple of noodles". 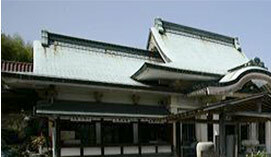 The main temple was burned down in the past 3 times, but as a result of constant efforts such as "Service of noodle", the present main temple was completed in 1963. I became the 17th chief priest of Koyasu Kannonji Temple. As everyone already knows, Koyasu Miyama has been supported by many people up to now in its long history. Hereafter, we priests are going to serve everyone whether the worshiper comes alone or comes as a group, which is as the late chief priest has taught us. In addition, in order to build a temple with a saying “Come empty, and return replenished”, we are going to pray for the happiness of as many people as possible as we have always done. We hope you to visit us without reserve.